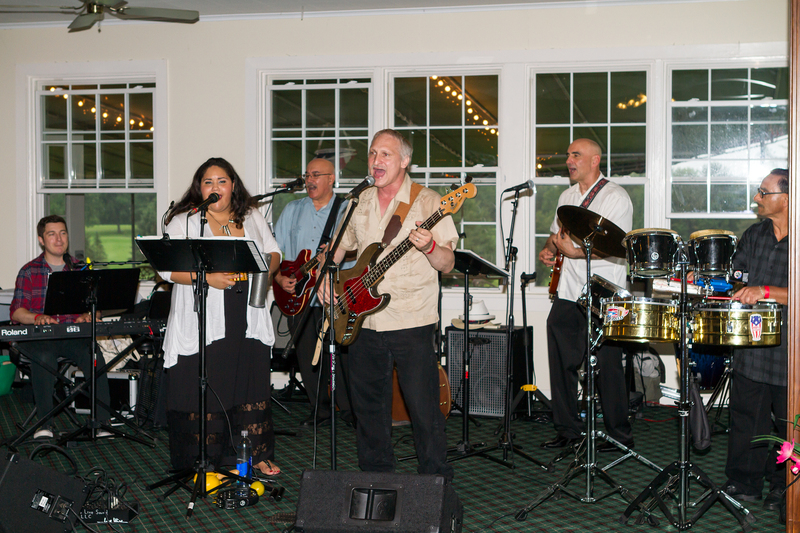 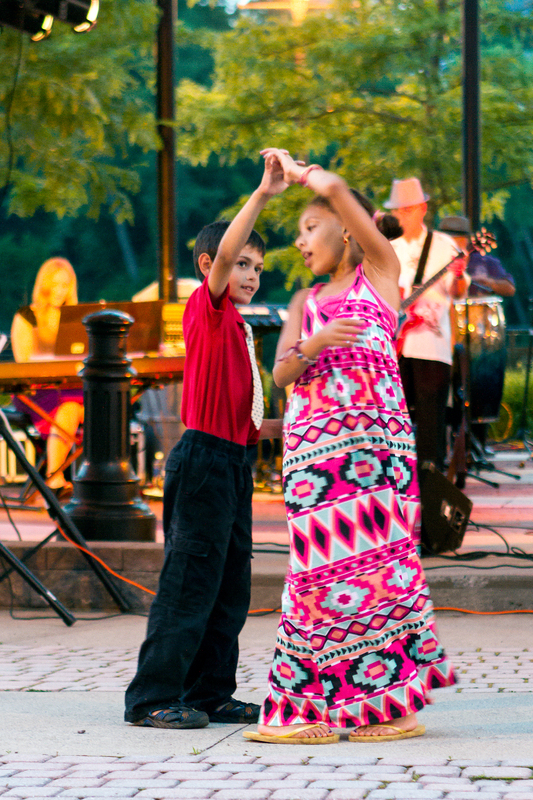 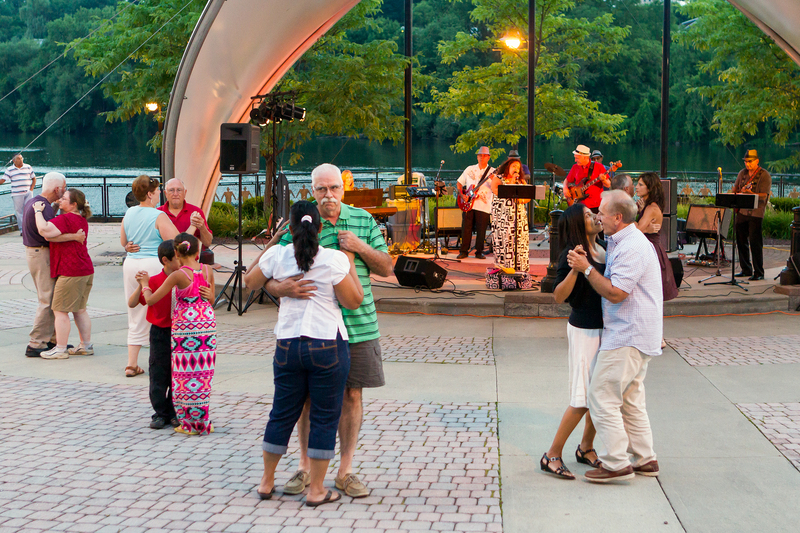 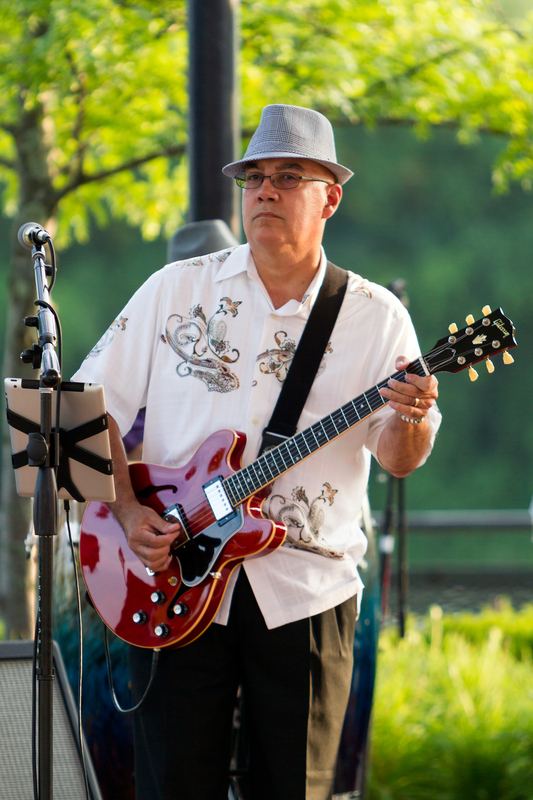 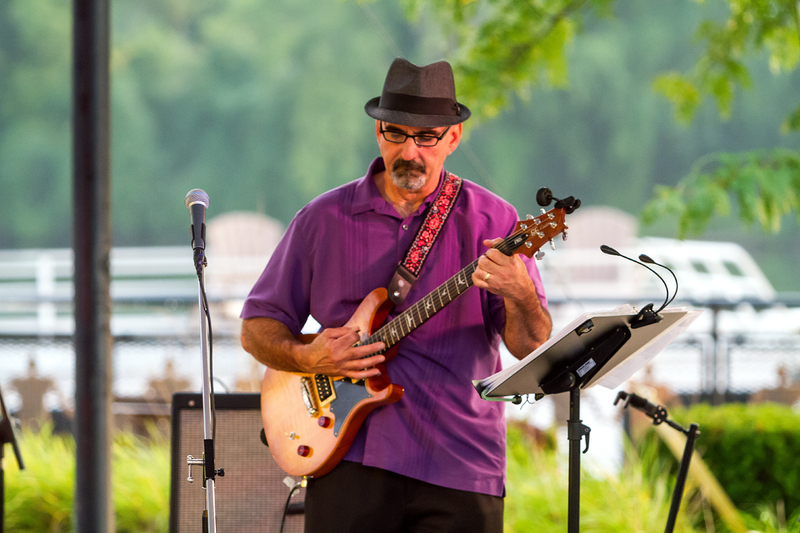 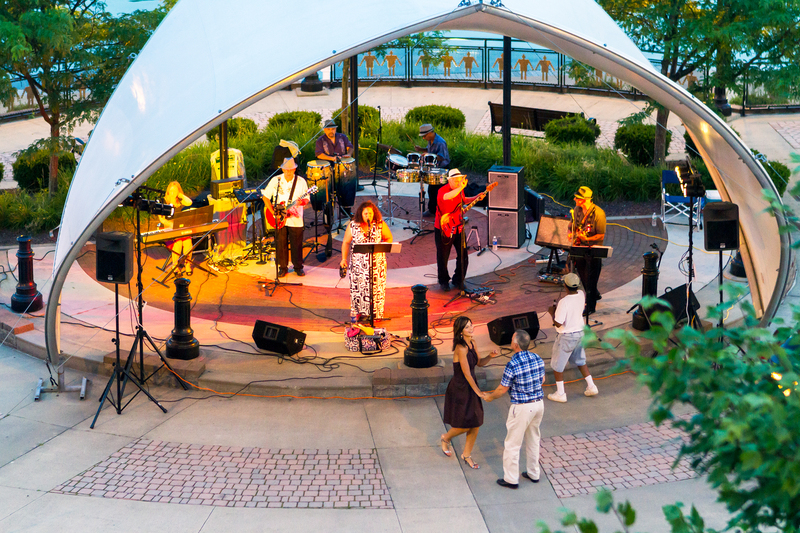 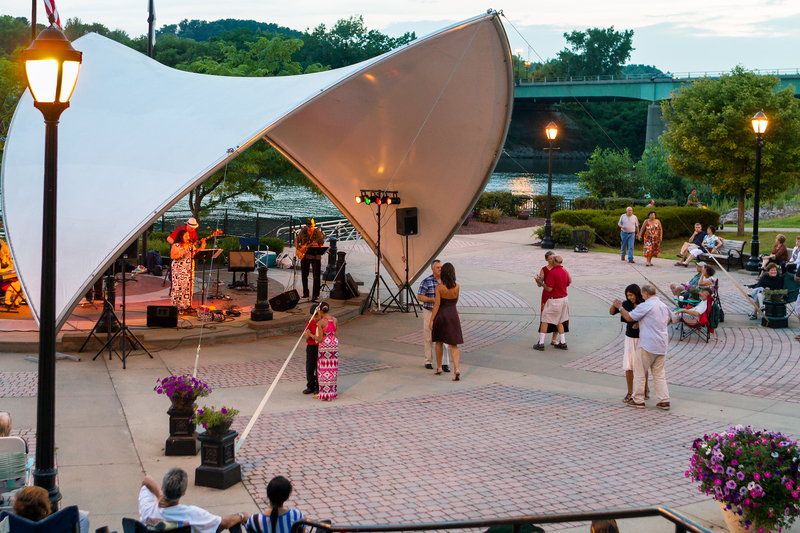 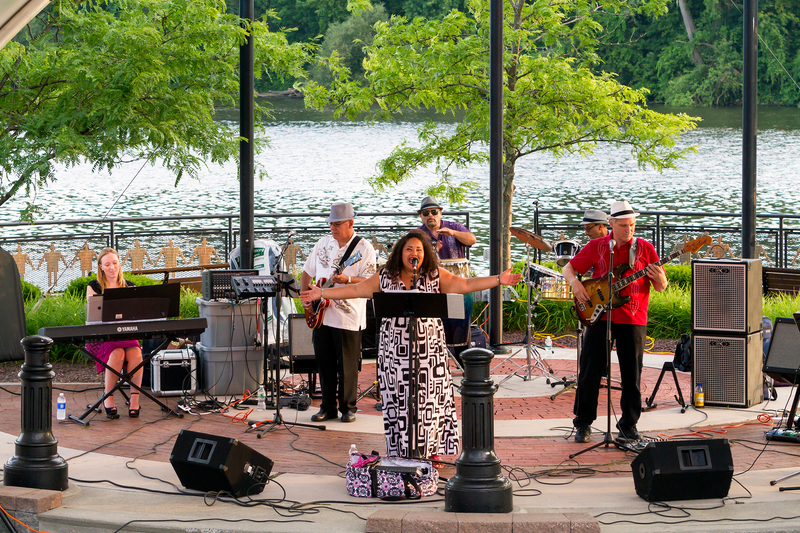 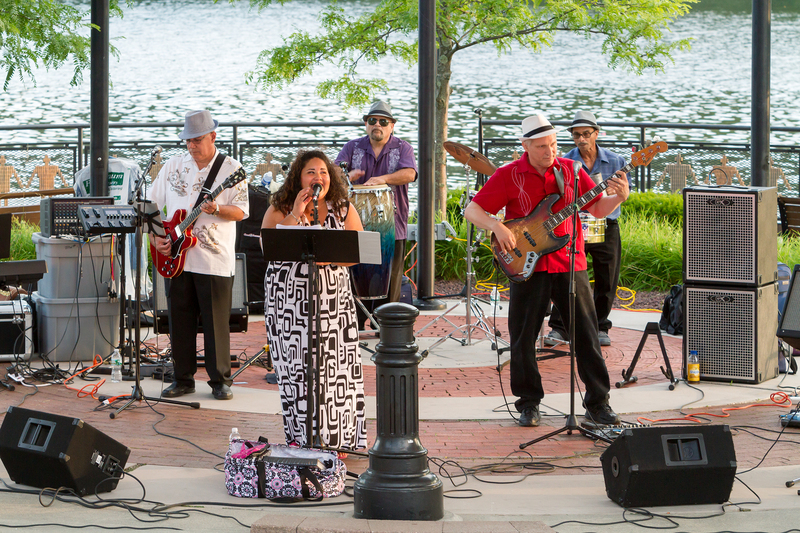 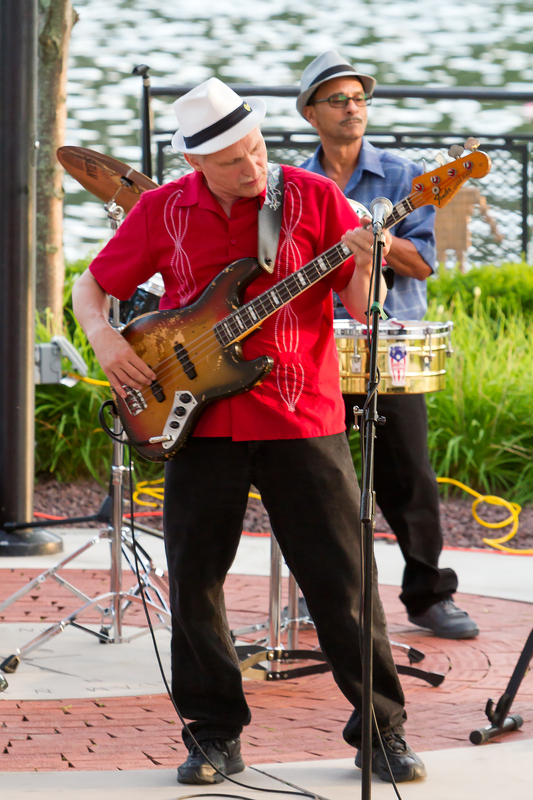 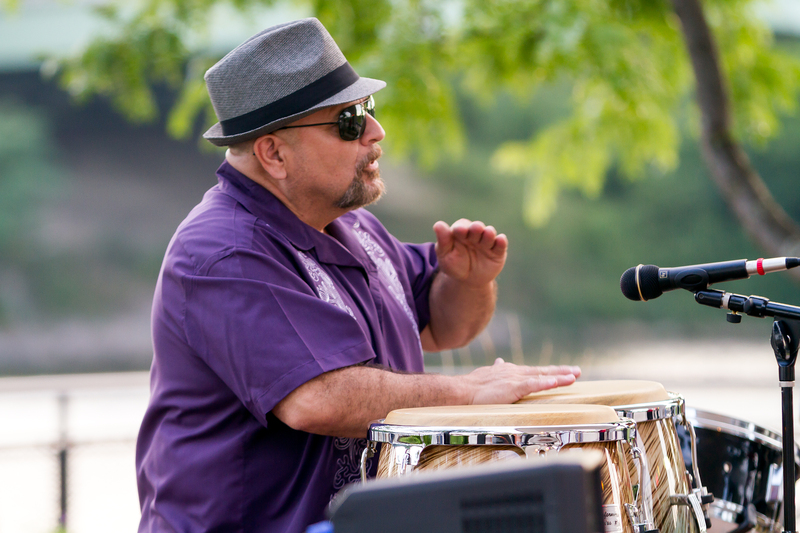 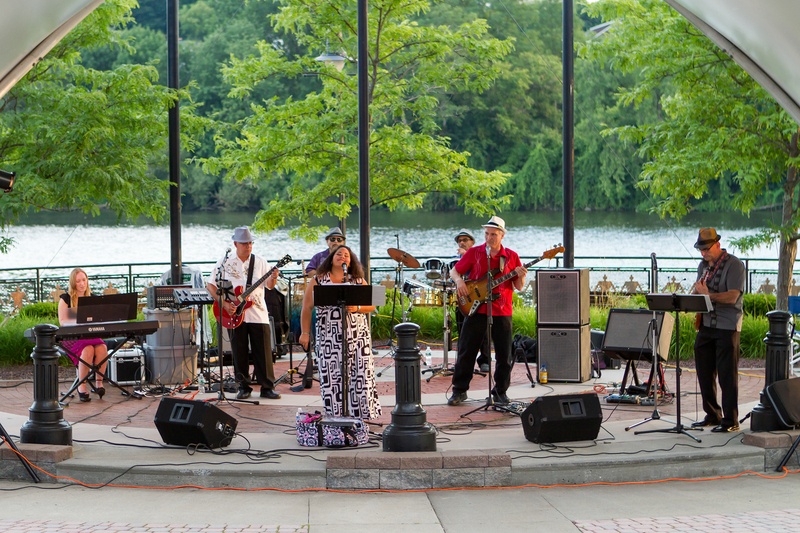 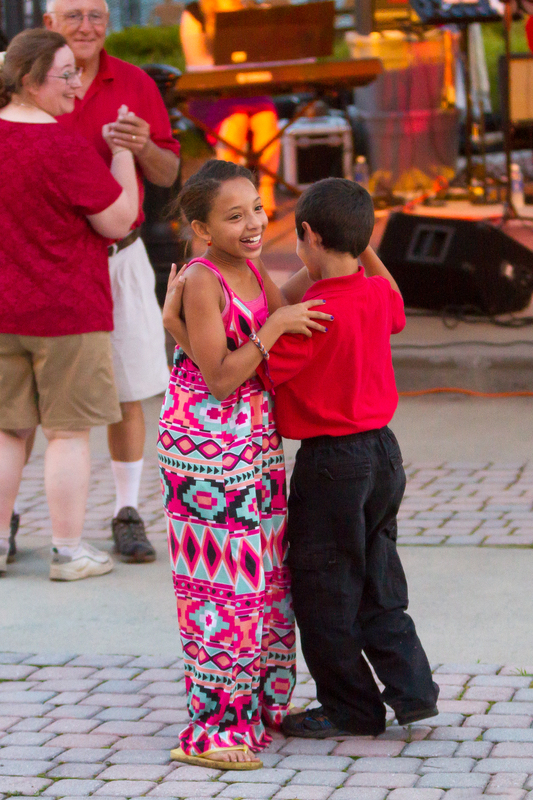 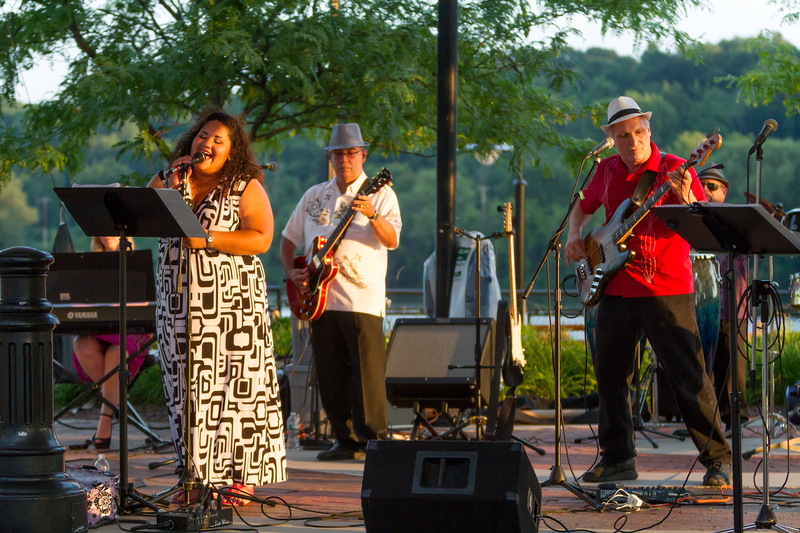 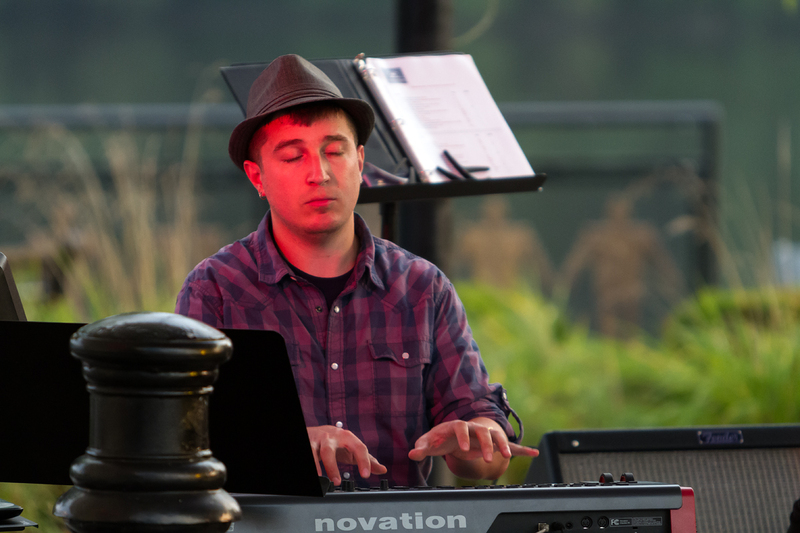 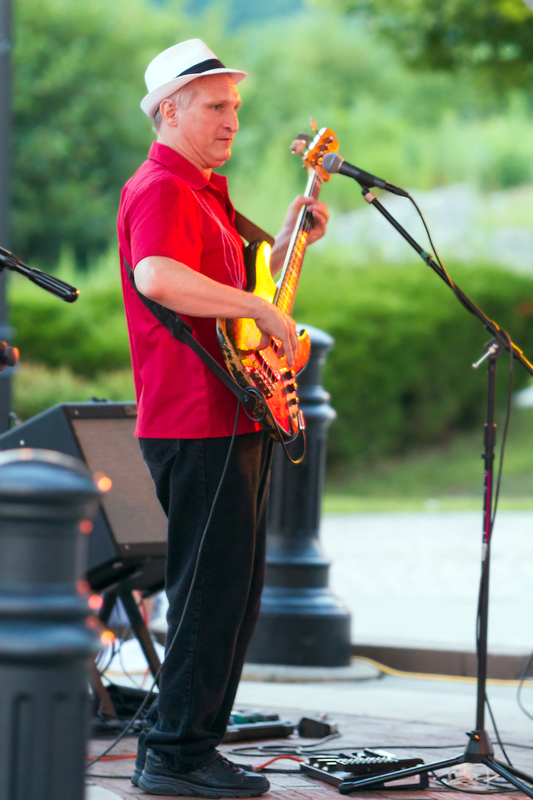 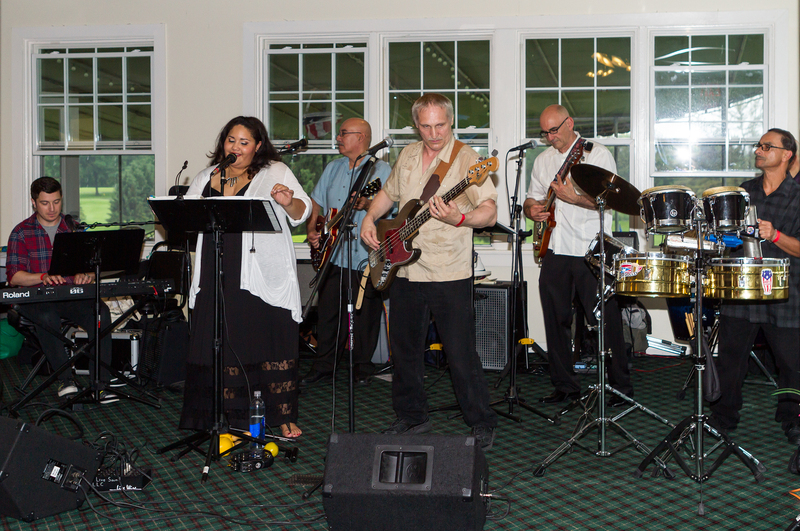 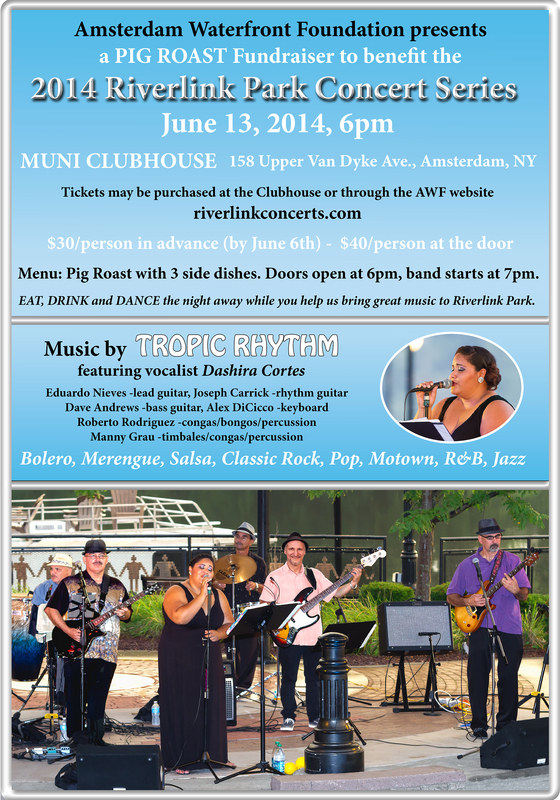 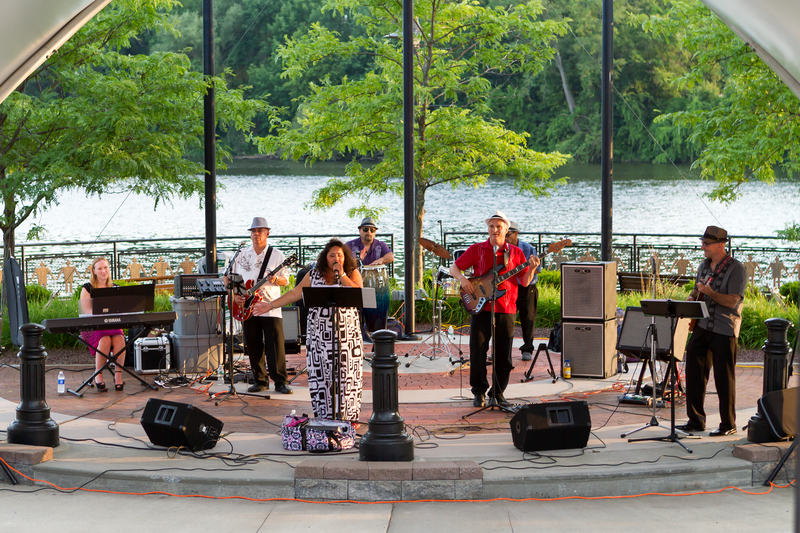 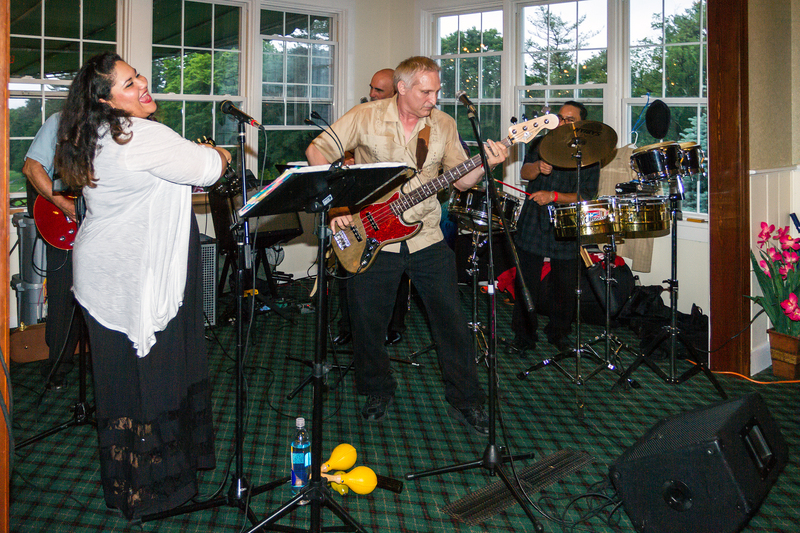 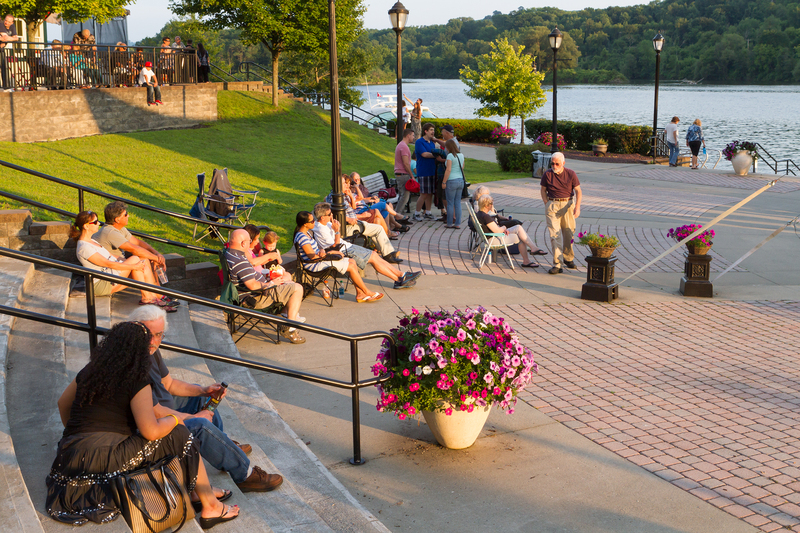 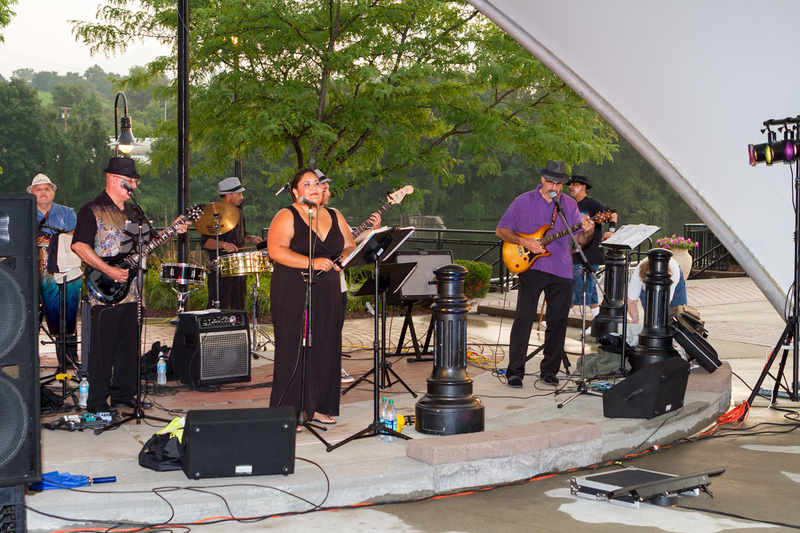 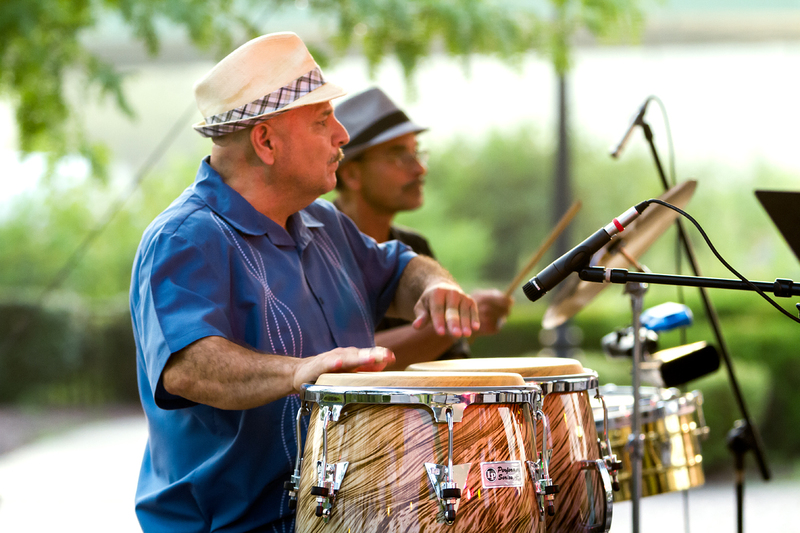 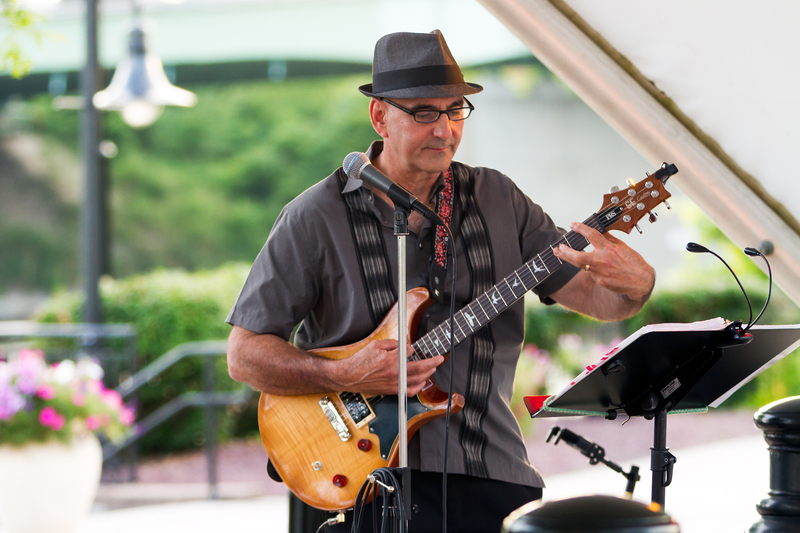 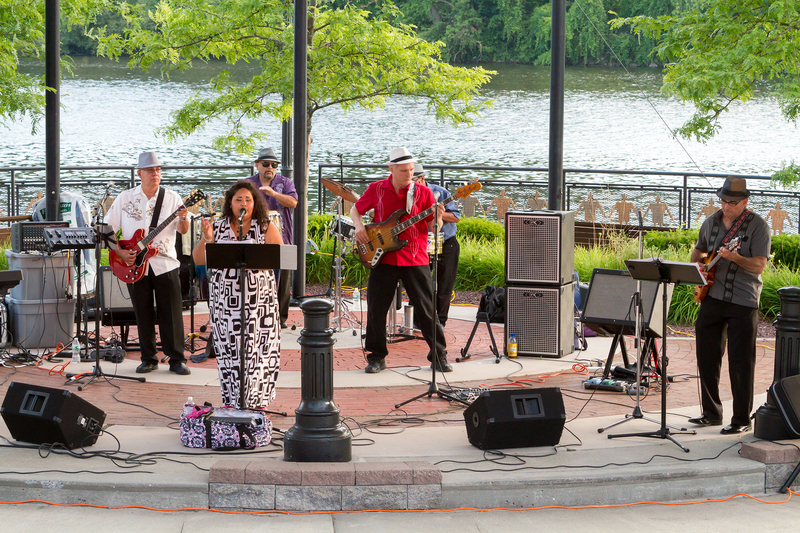 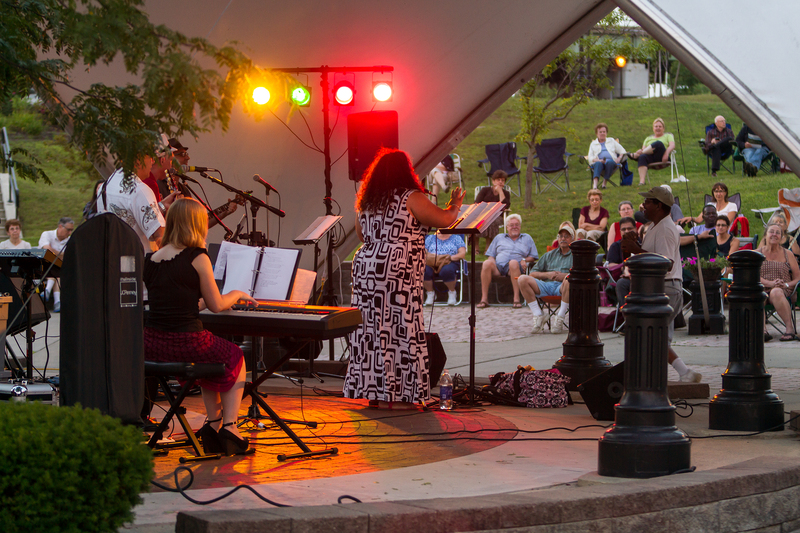 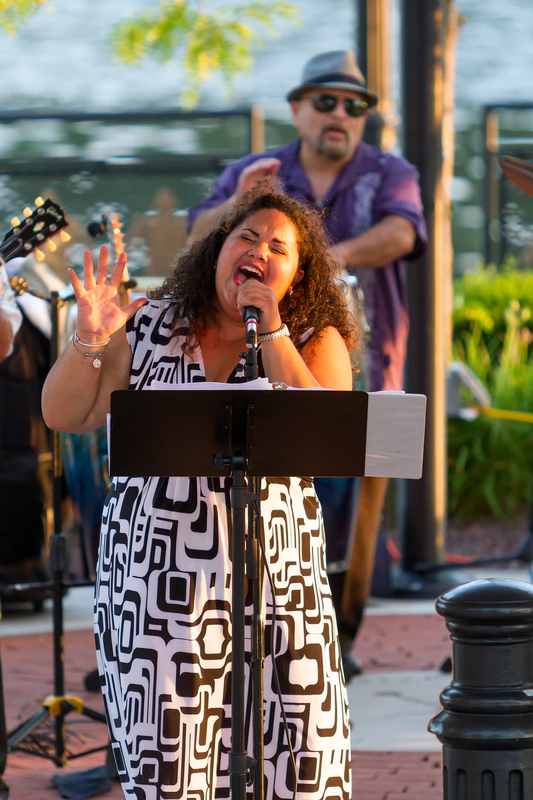 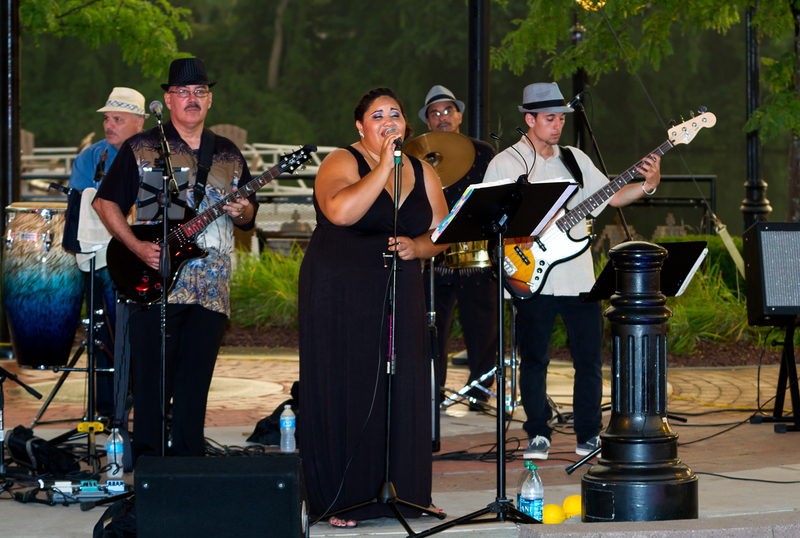 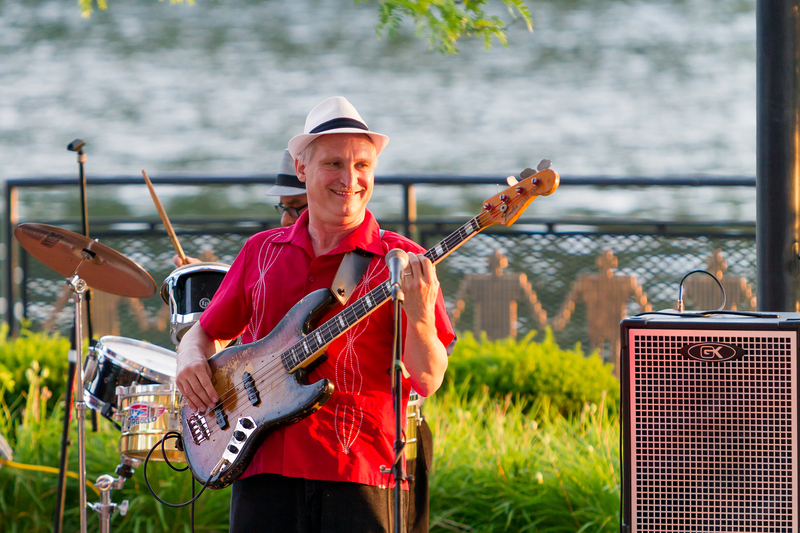 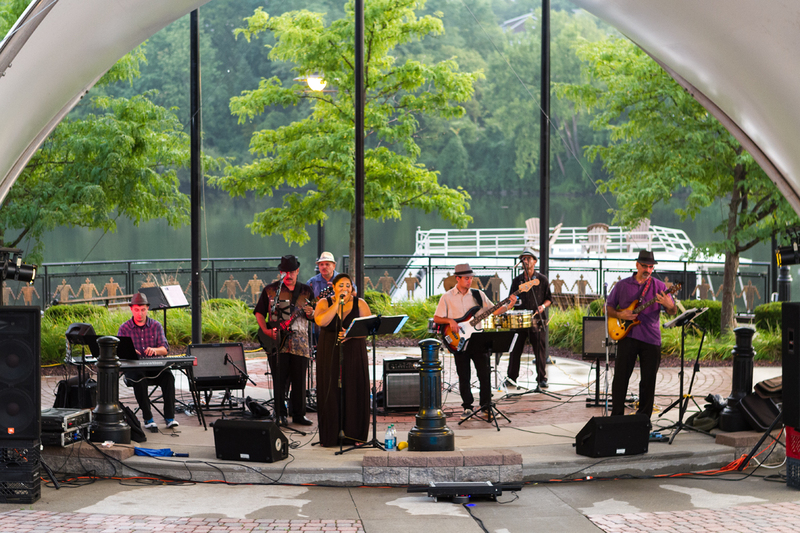 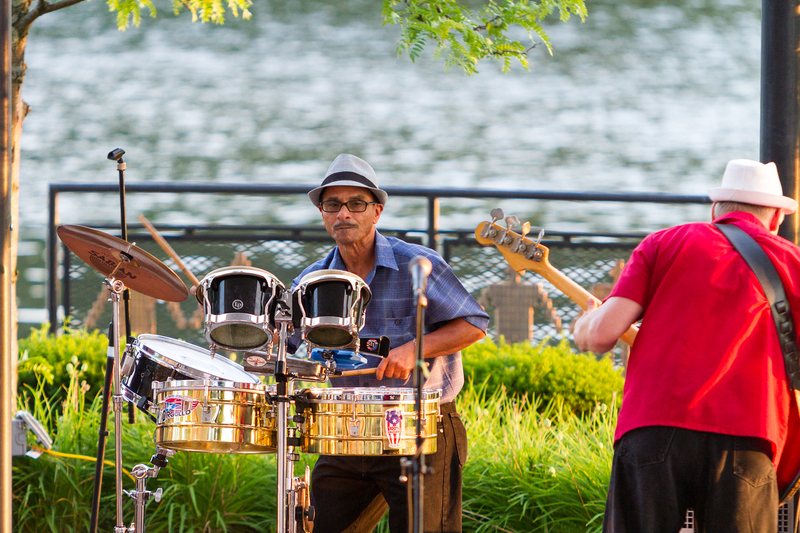 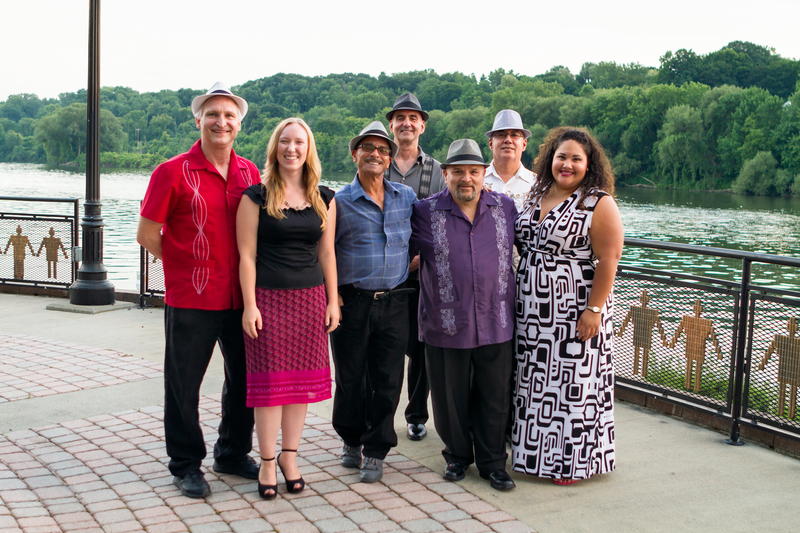 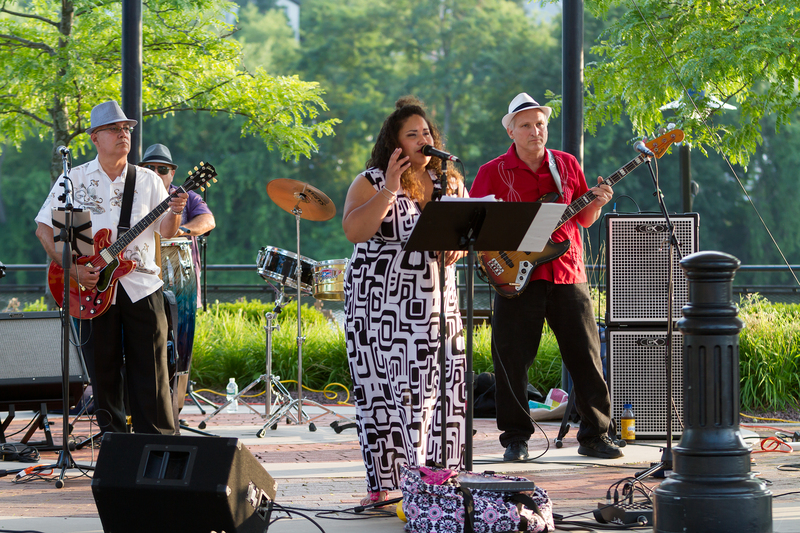 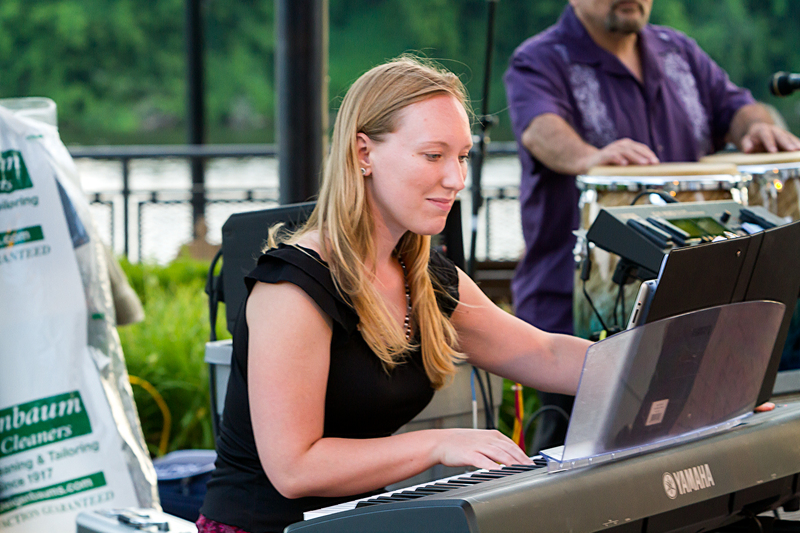 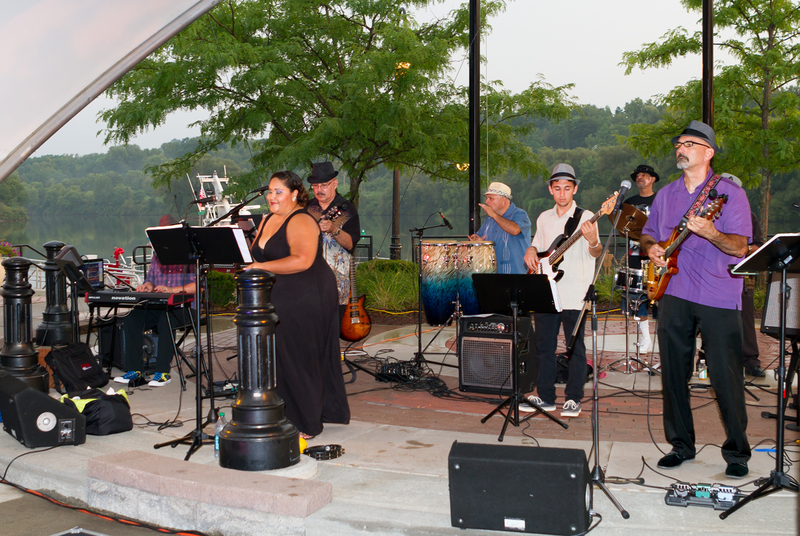 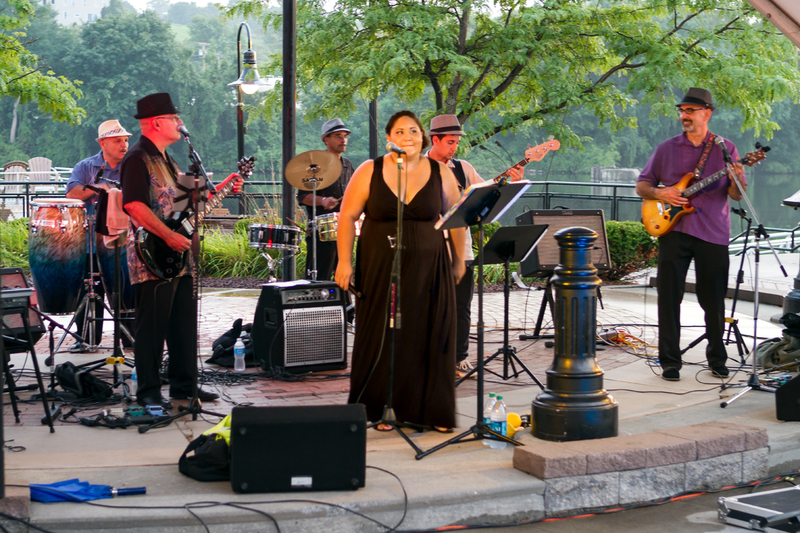 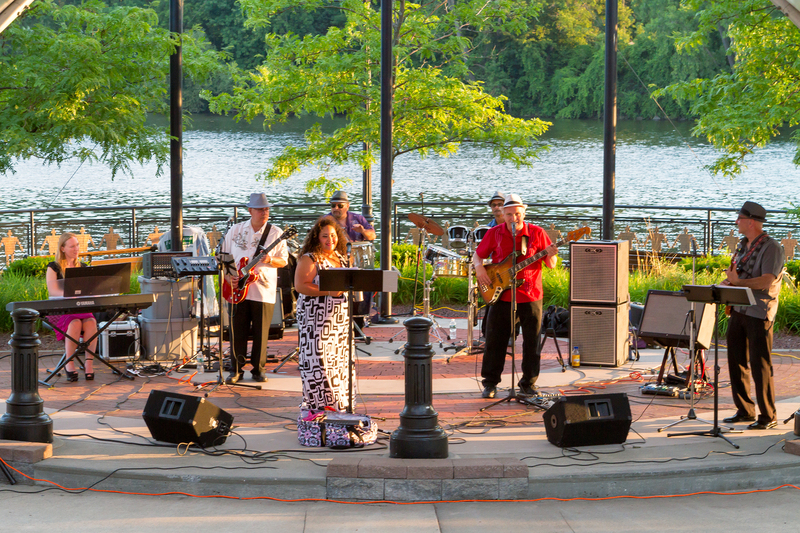 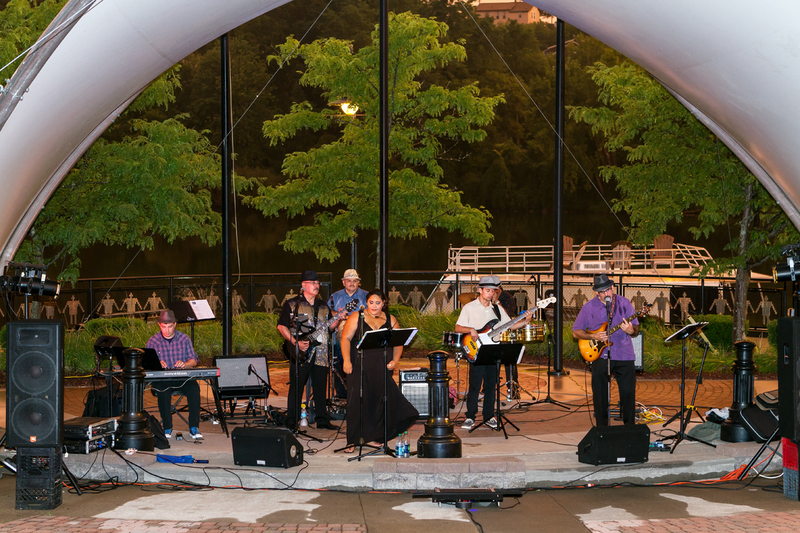 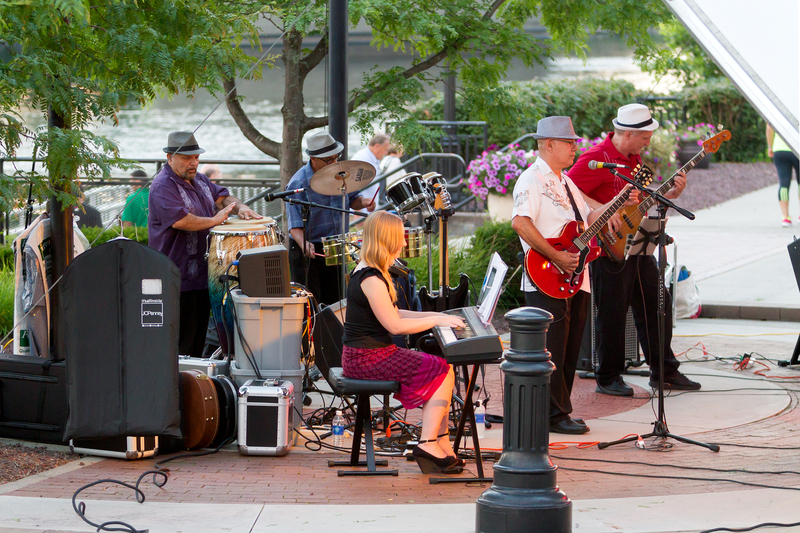 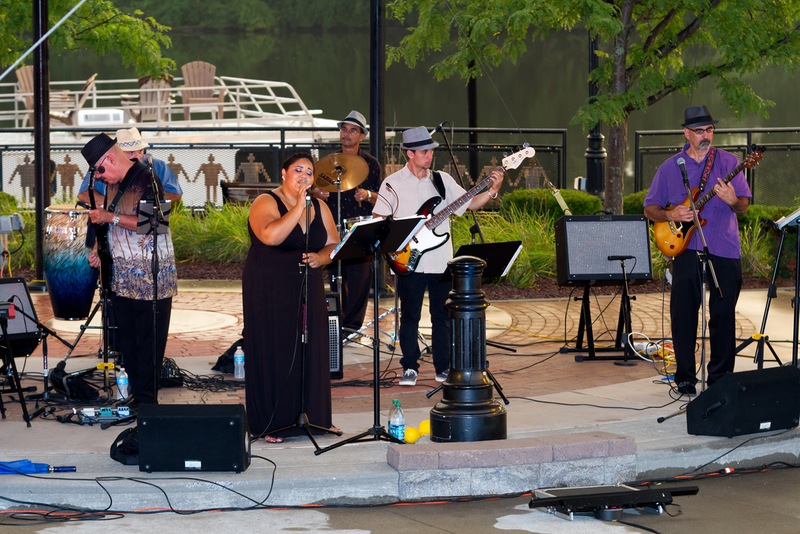 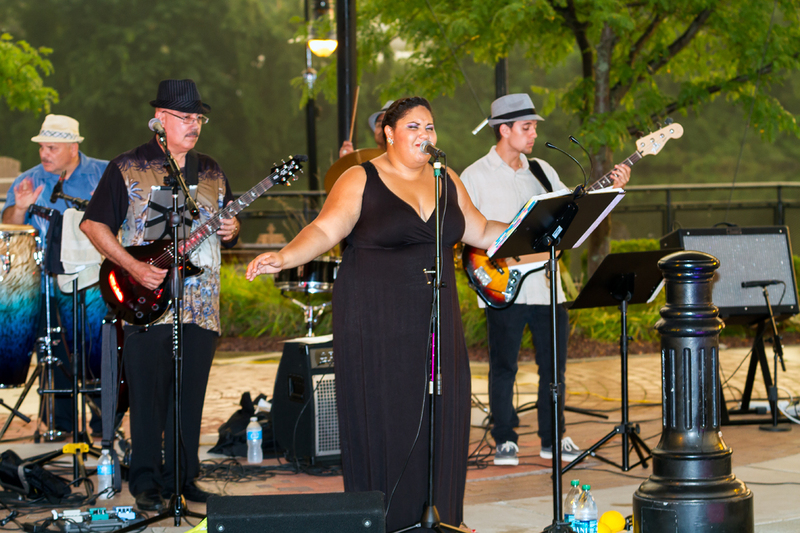 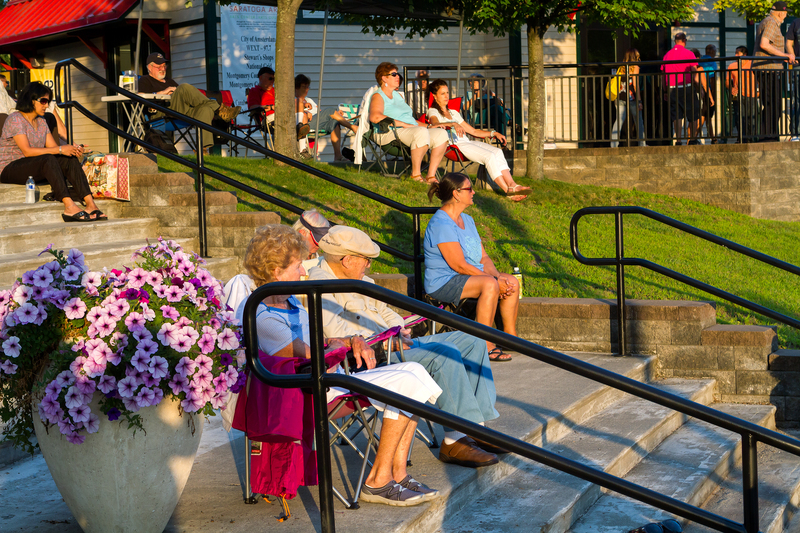 The Albany based Latin-American band Tropic Rhythm closed out the 2013 Riverlink Park Concert Series with a repertoire of Boleros, Merengues, Salsa, Rock and Roll, Oldies (50’s and 60’s), Motown, R&B and Jazz. 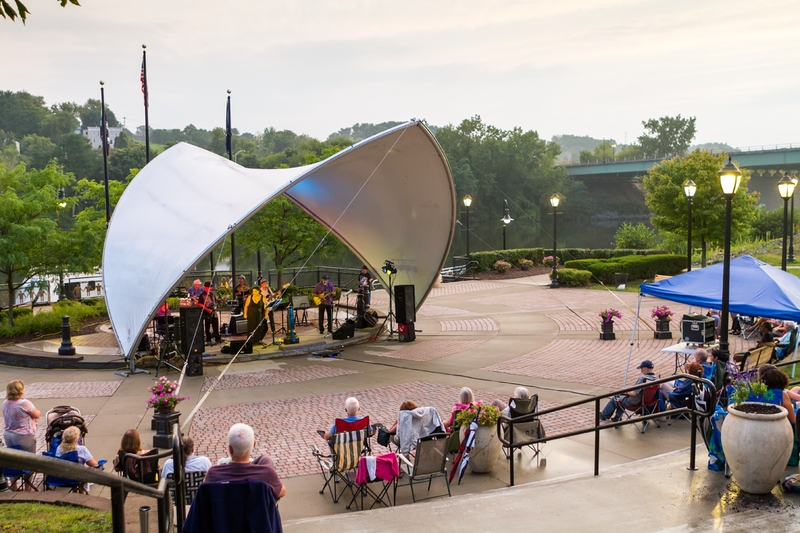 The rain did come down as soon as the band set up their equipment under the bandshell saturday evening, but the storm blew over and the sun peaked through the clouds as the concert began. 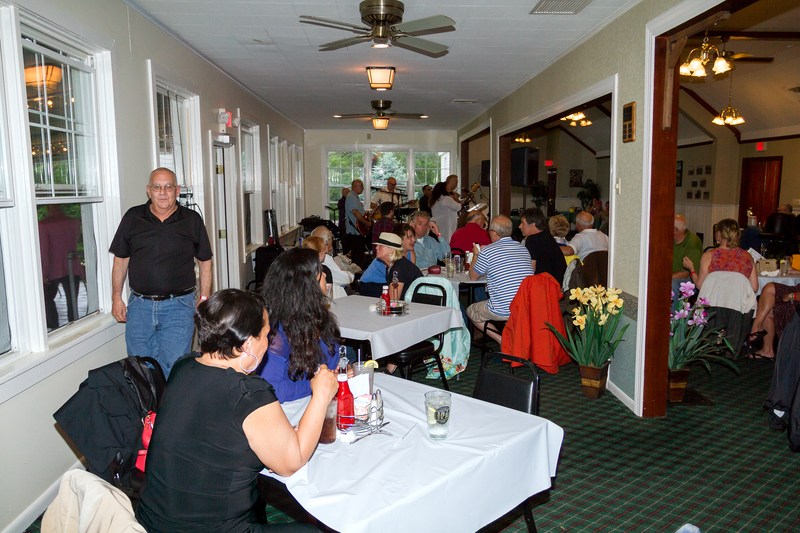 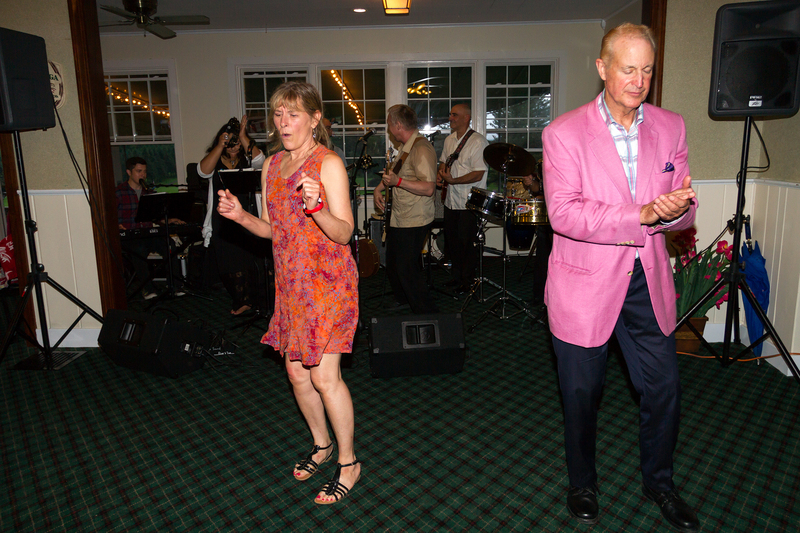 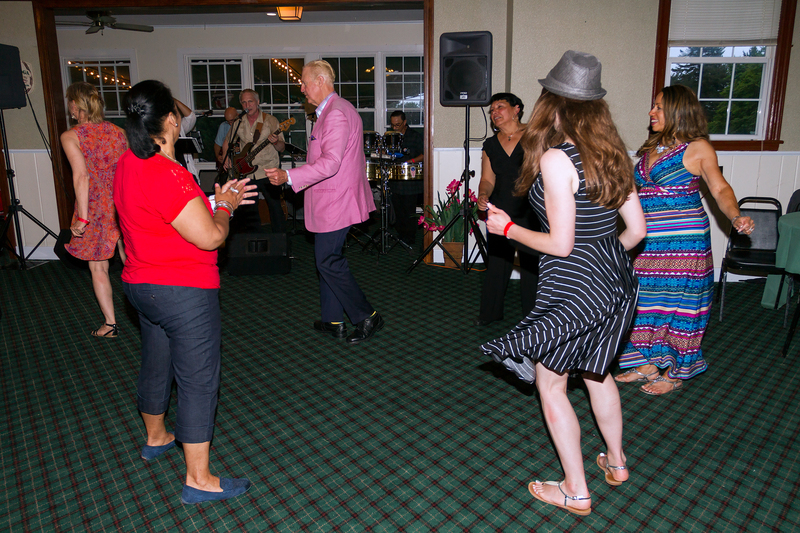 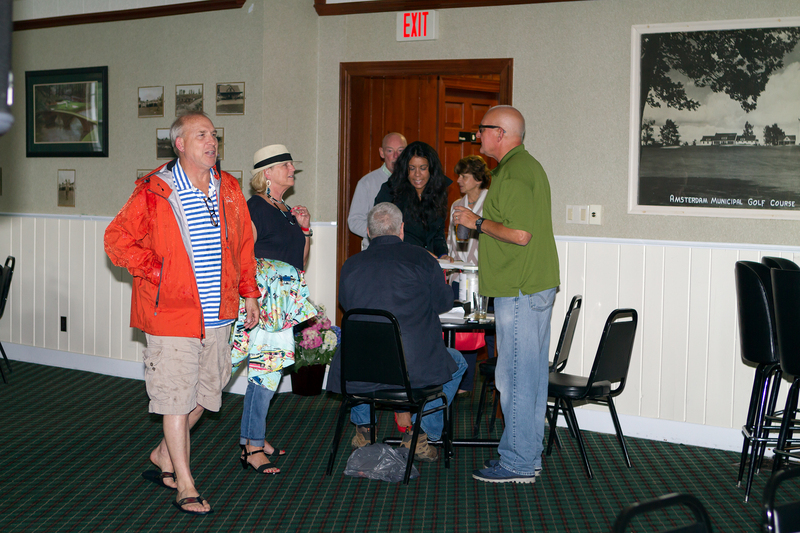 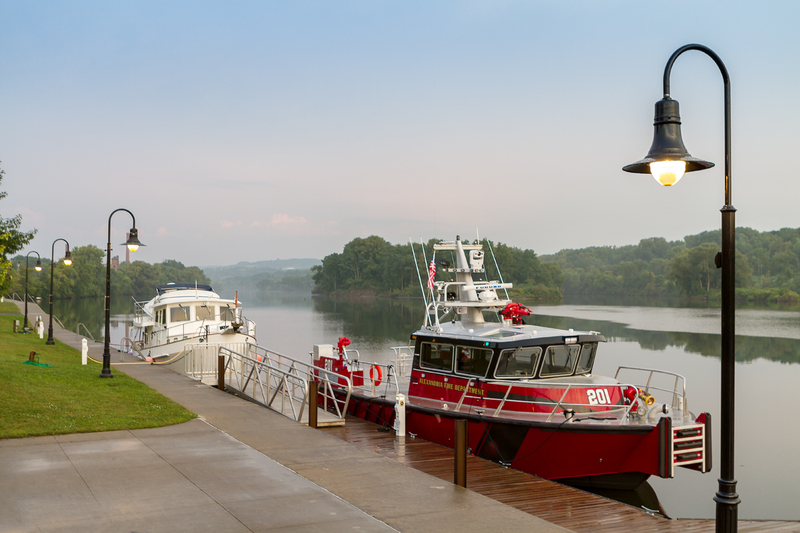 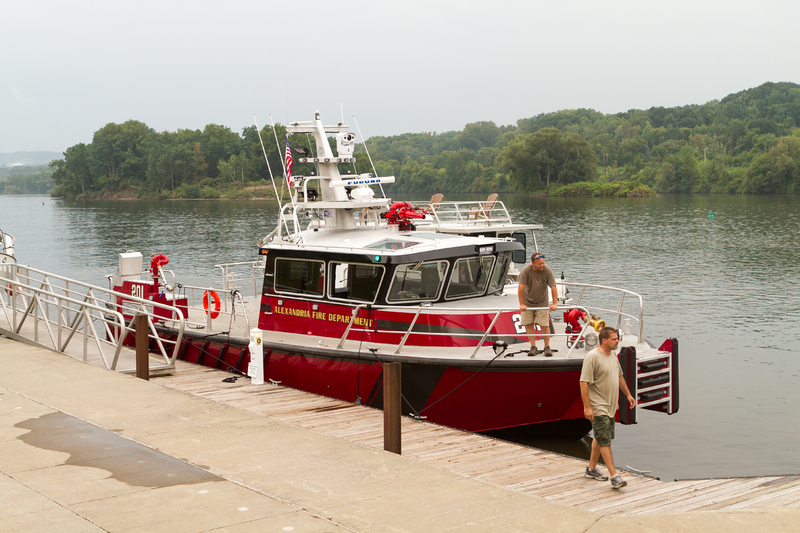 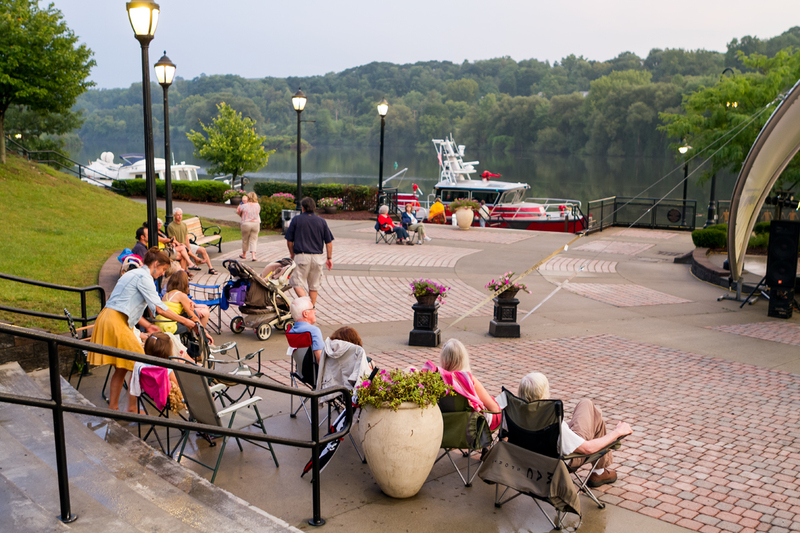 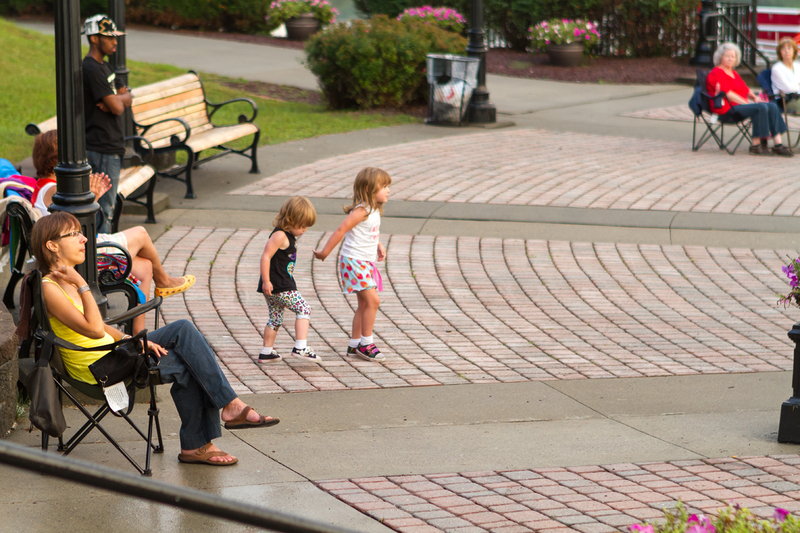 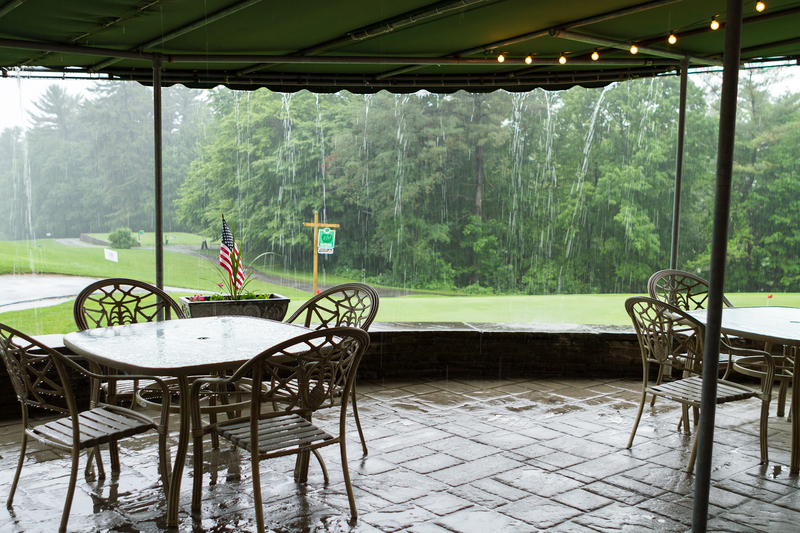 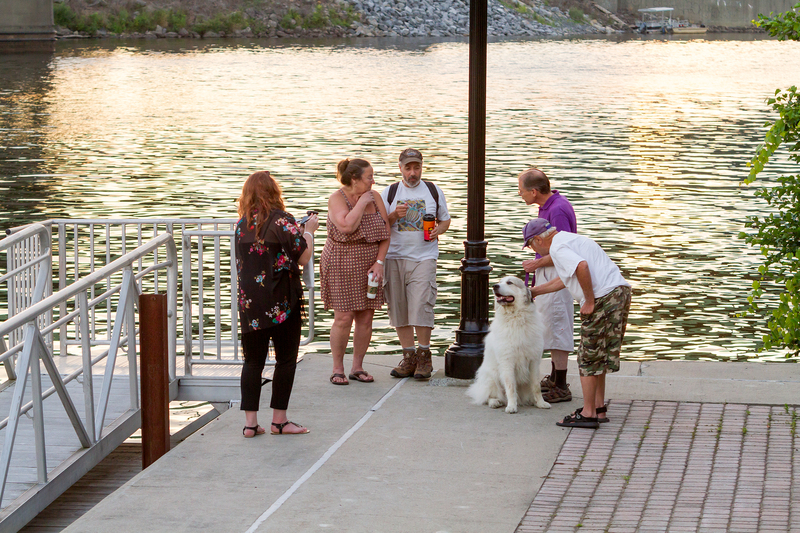 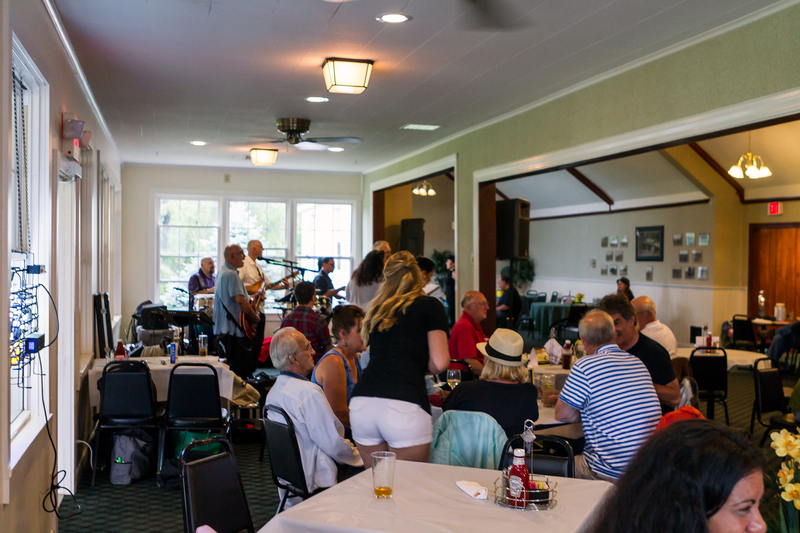 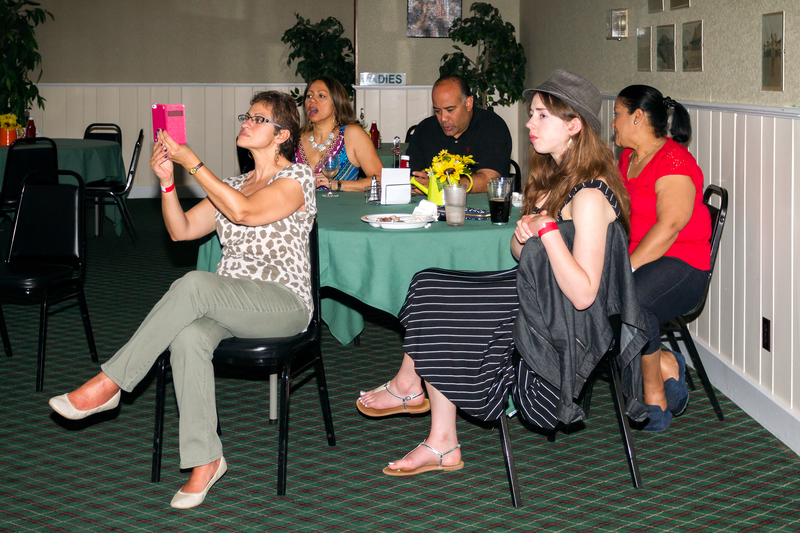 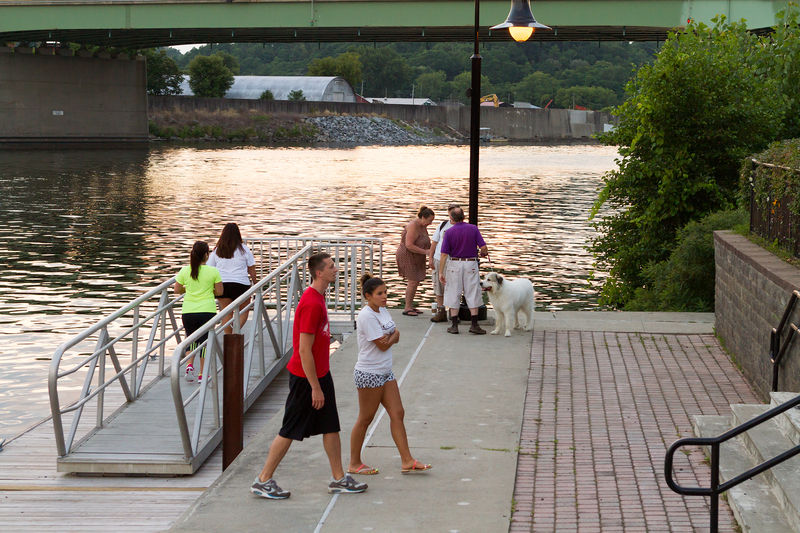 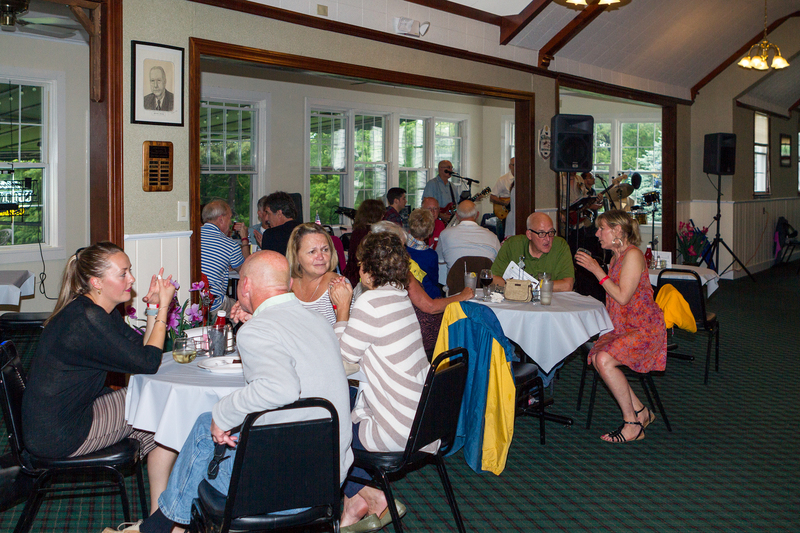 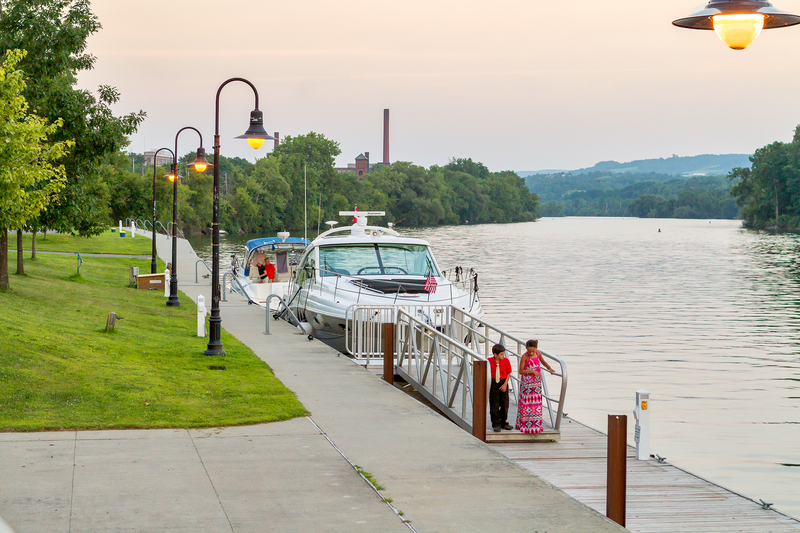 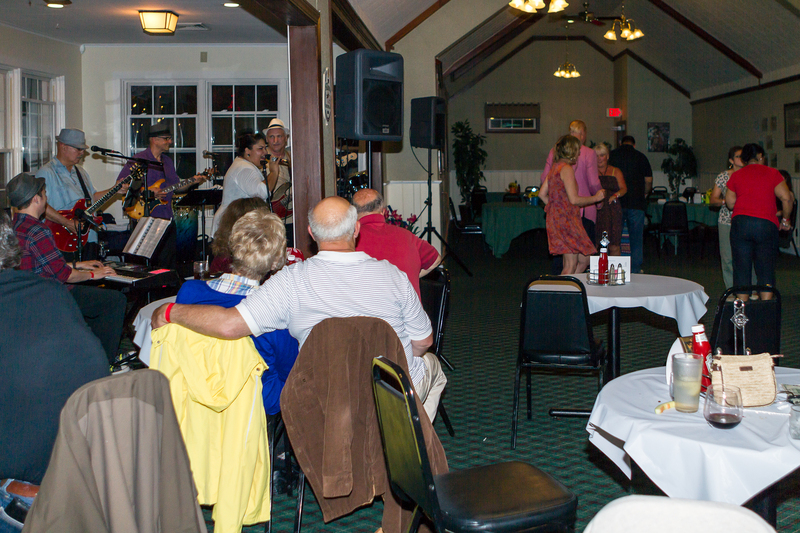 Although the rain and Memorial Day weekend may have kept the regular Riverlink Concert crowd away, those that did attend were in for a real treat. 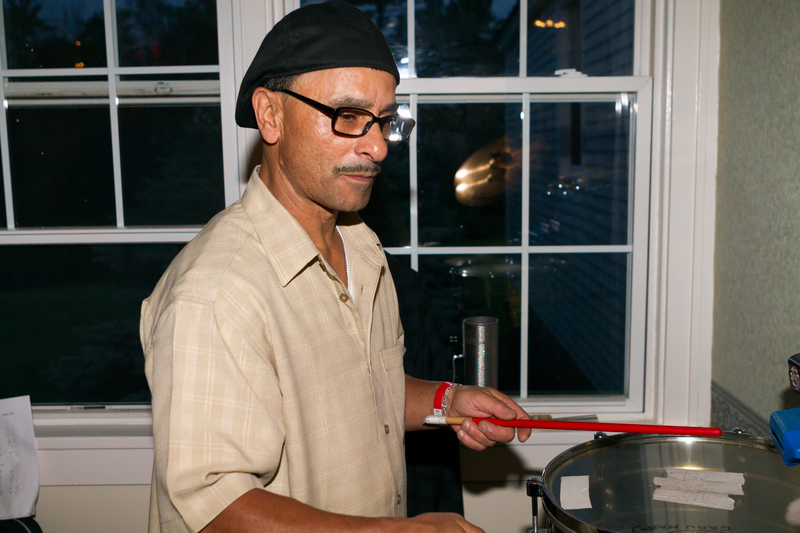 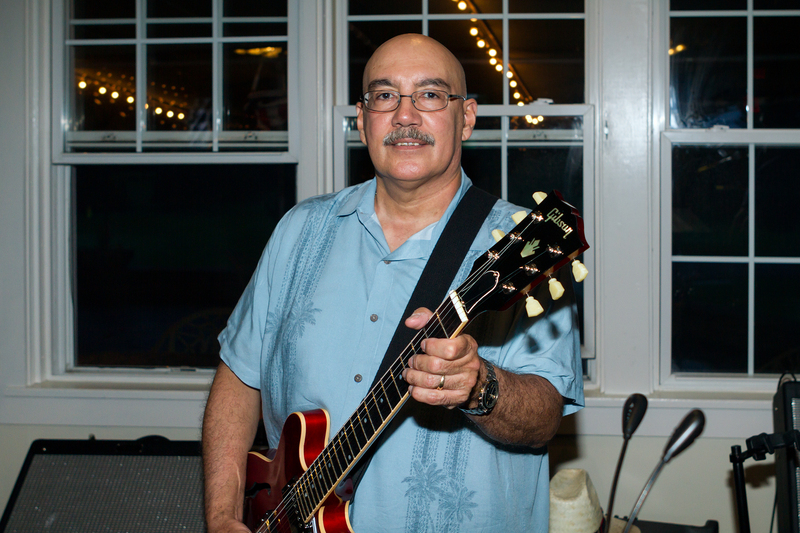 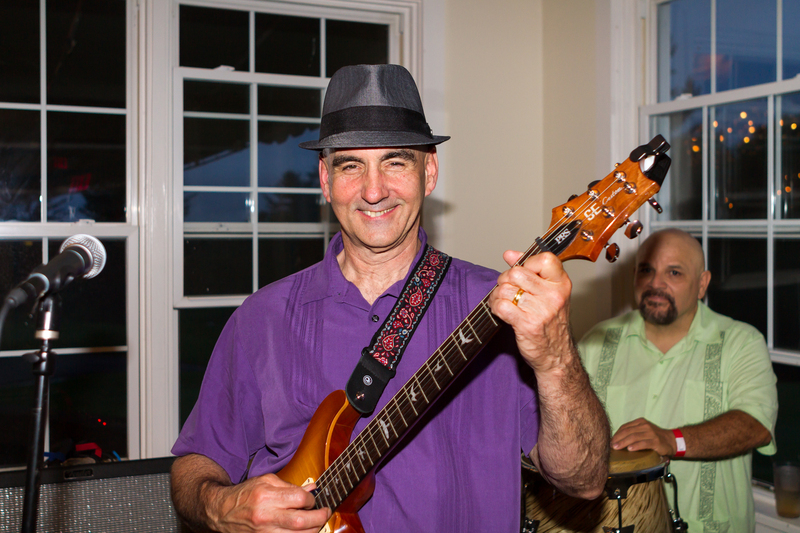 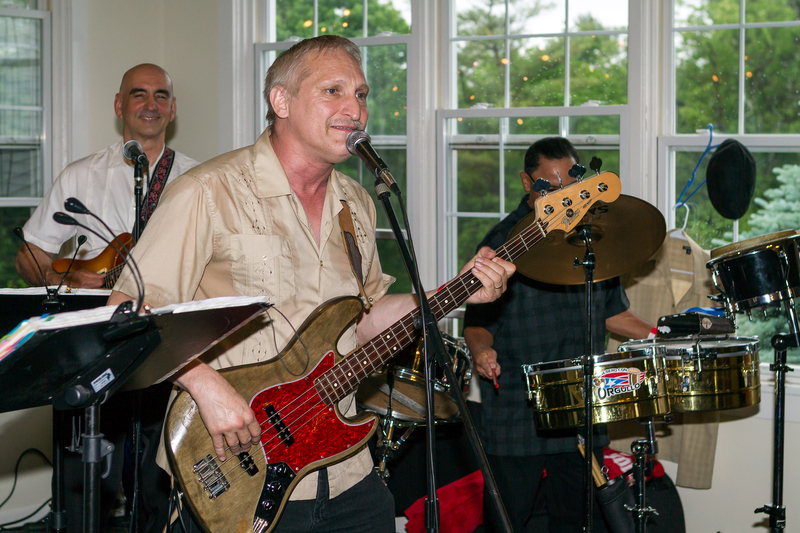 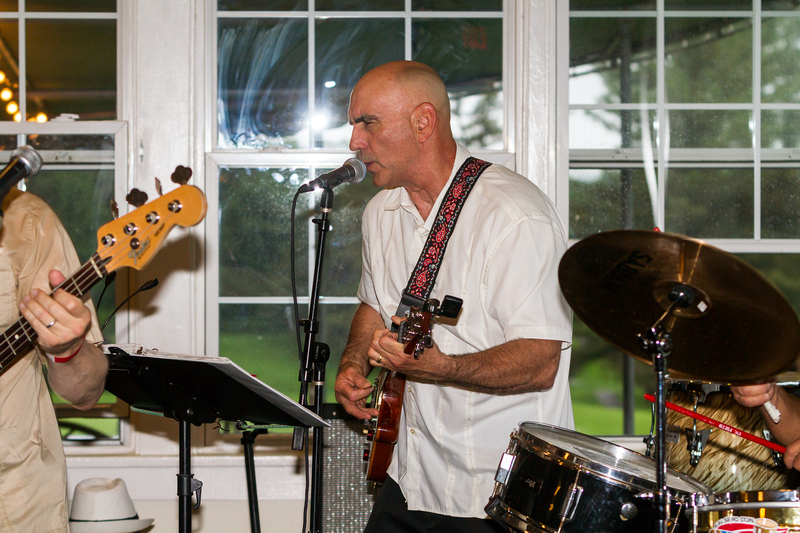 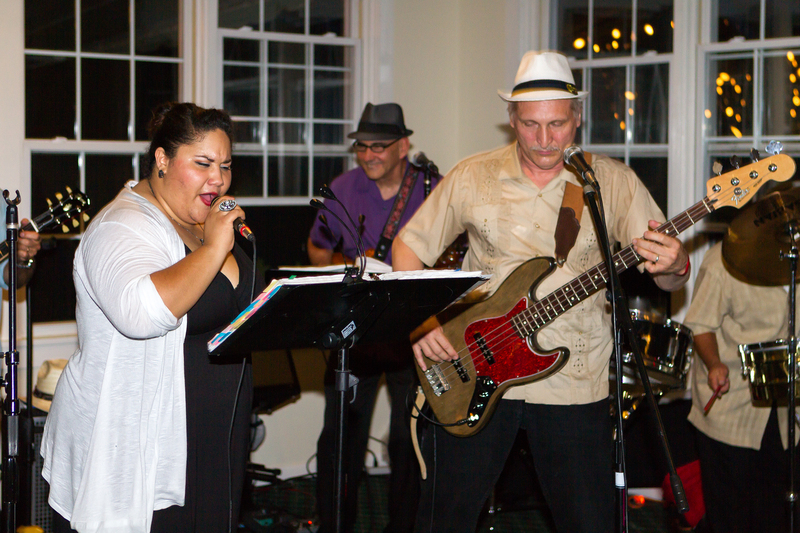 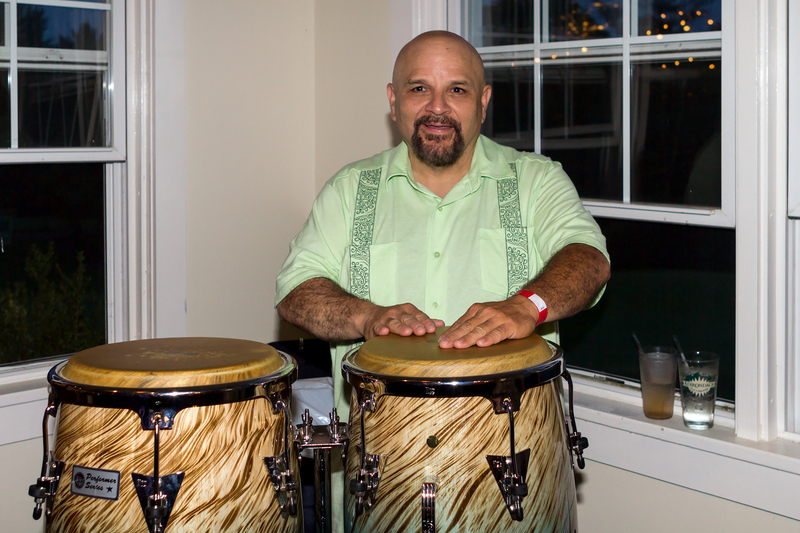 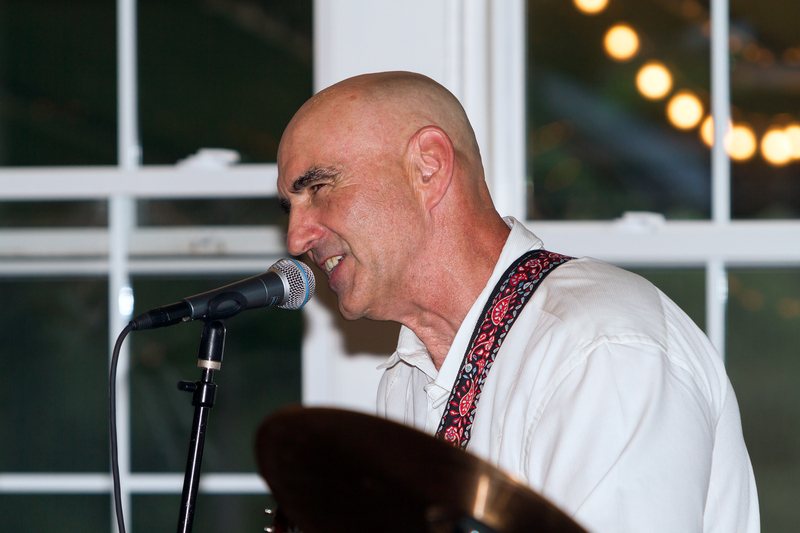 Tropic Rhythm is composed of Eduardo Nieves/Lead Guitar, Joseph Carrick/Rhythm Guitar, Dave Andrews/Bass Guitar, Roberto Rodriguez/Congas-Bongos-Percussion, Manny Grau/Timbales-Congas-Percussion and Dashira Cortes/Lead Vocals. 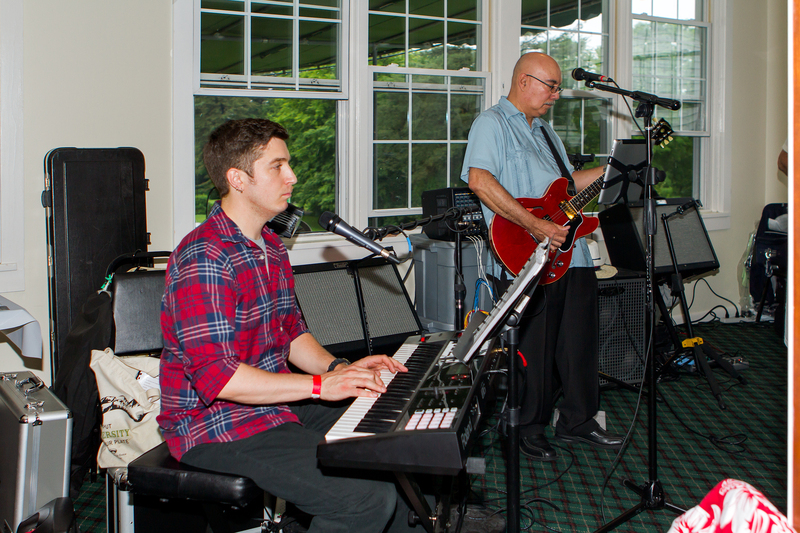 Last night we had Leo in for Dave on Bass and Alex on Keyboards. 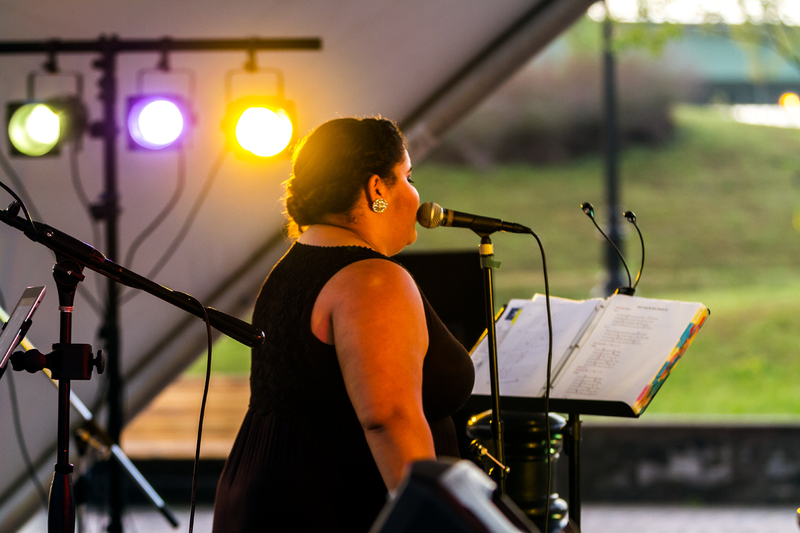 The star of the show was Dashira who has an amazing voice with a huge range. 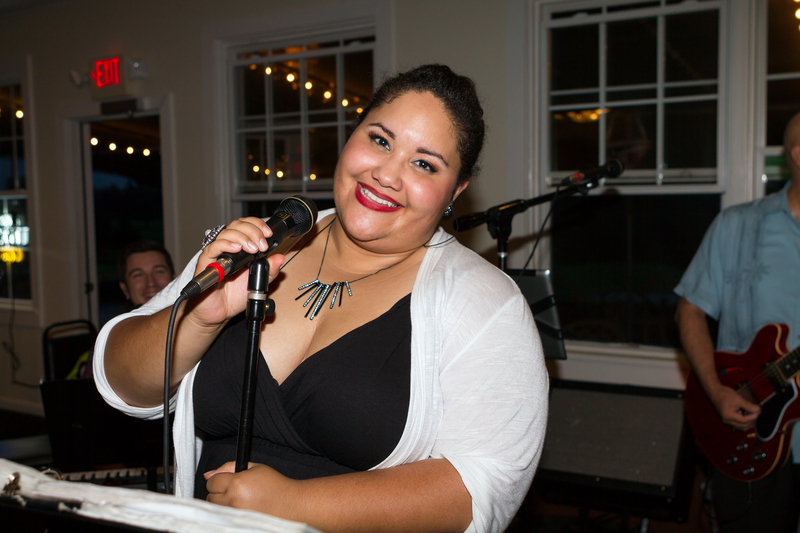 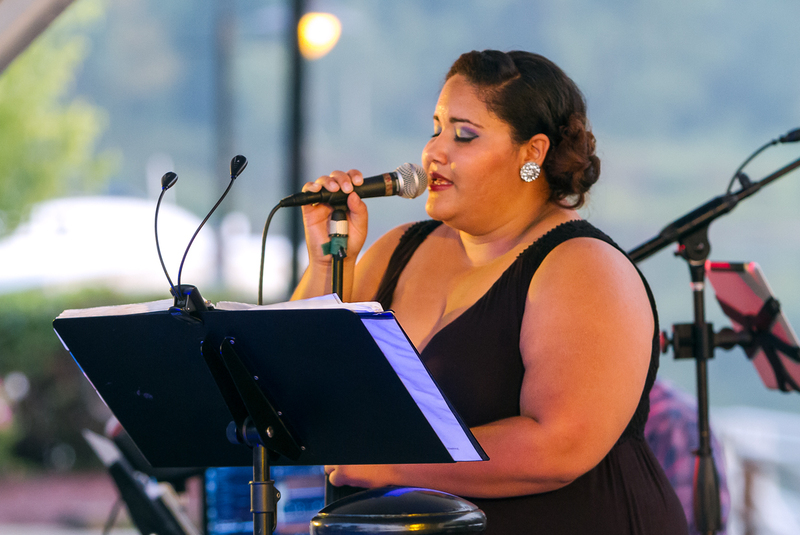 Whether a Spanish ballad, a current pop song or a 50’s song, Dashira can sing it, hitting all those hard to reach high notes with ease. 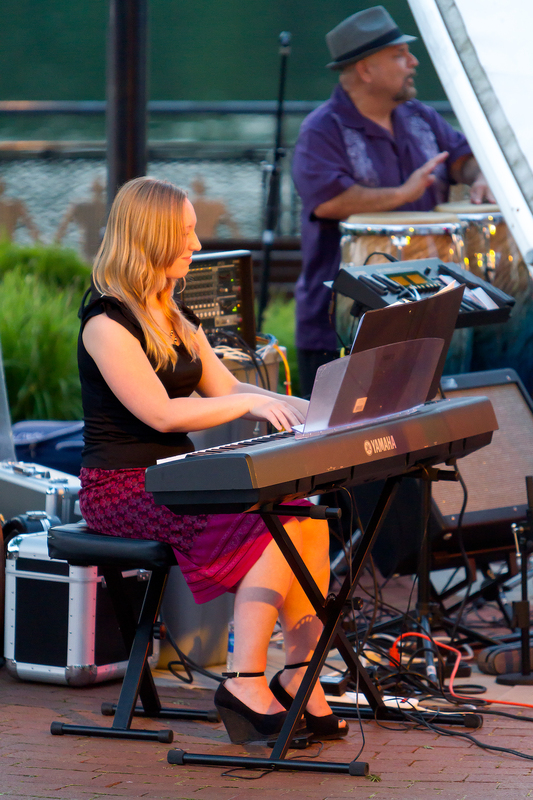 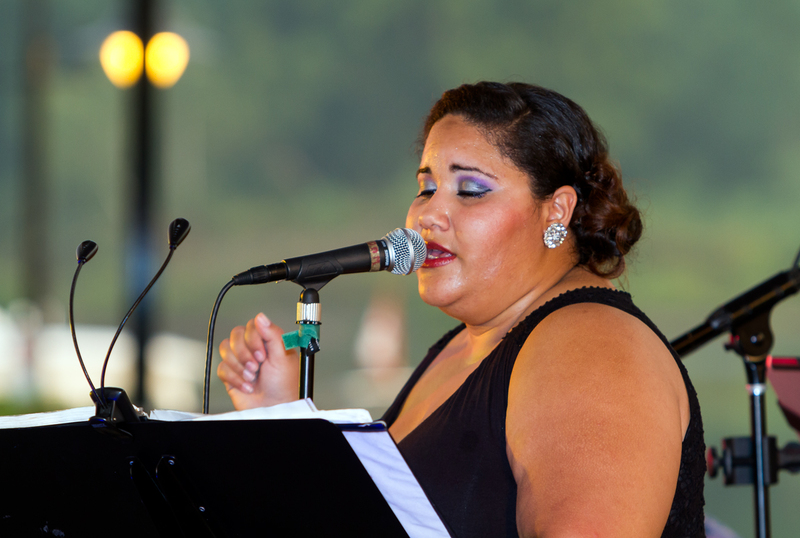 I must say she is the most talented vocalist that performed at Riverlink Park this year by far! 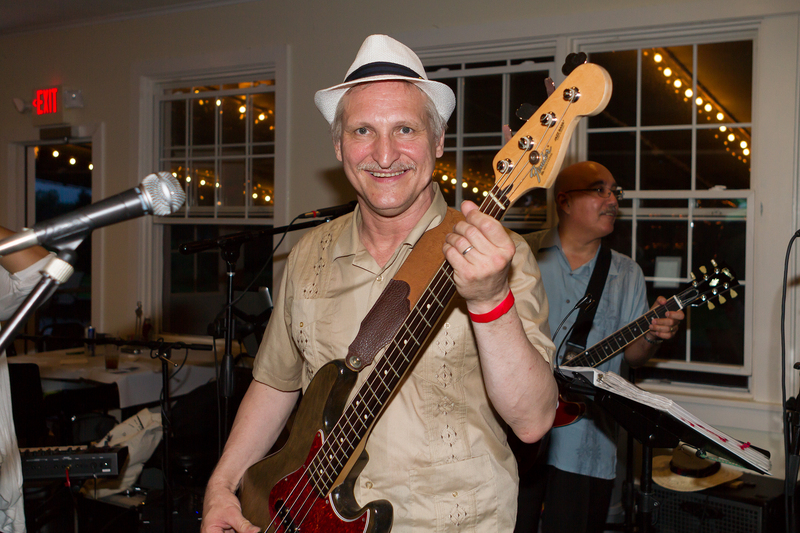 I did record a few videos of last night’s performance that I will post as soon as I get them processed. 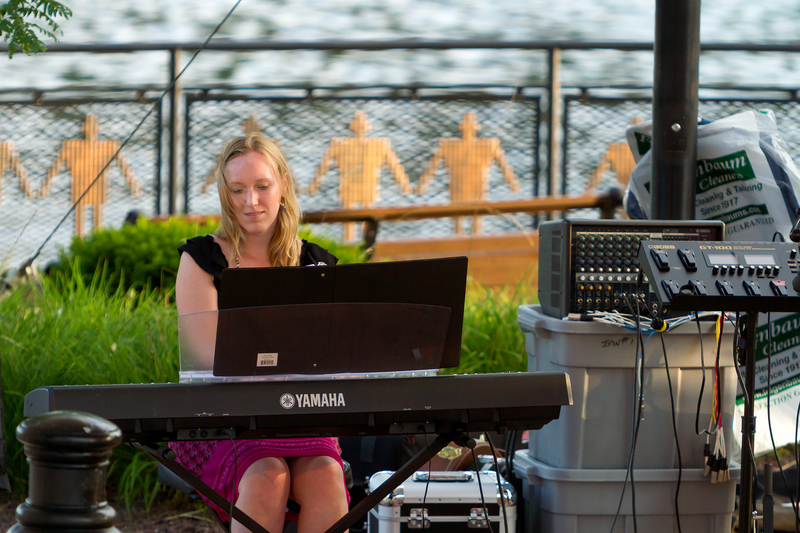 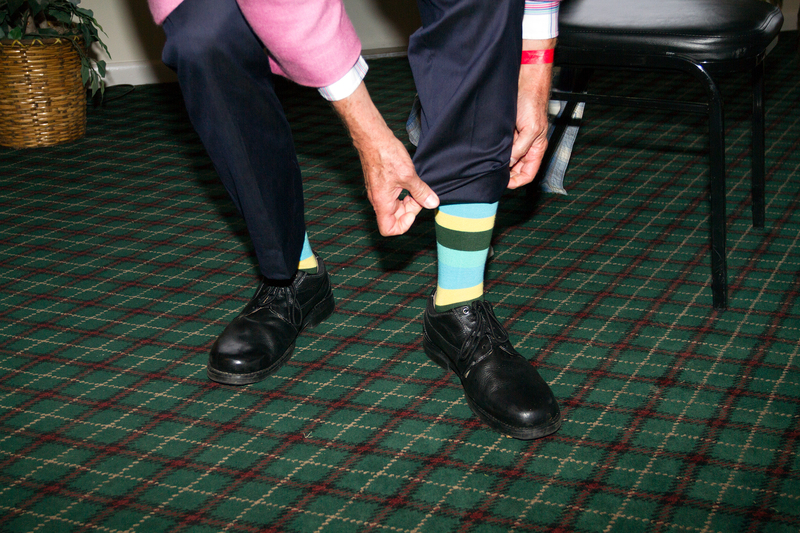 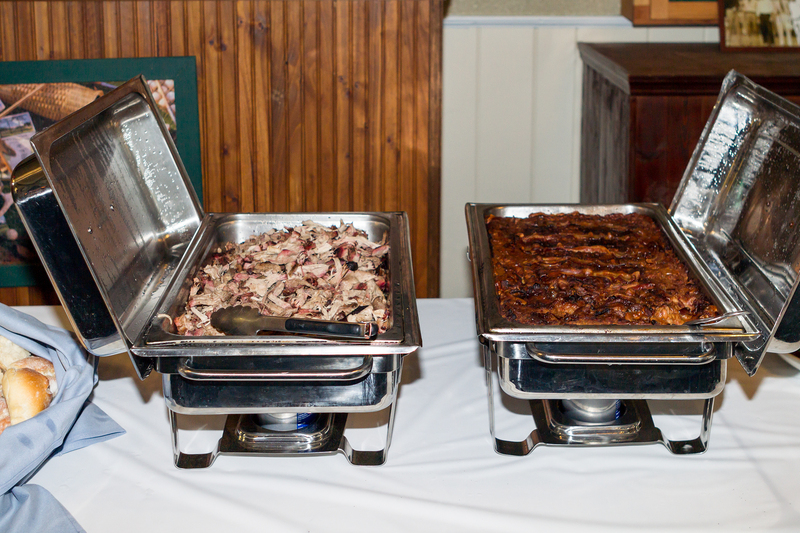 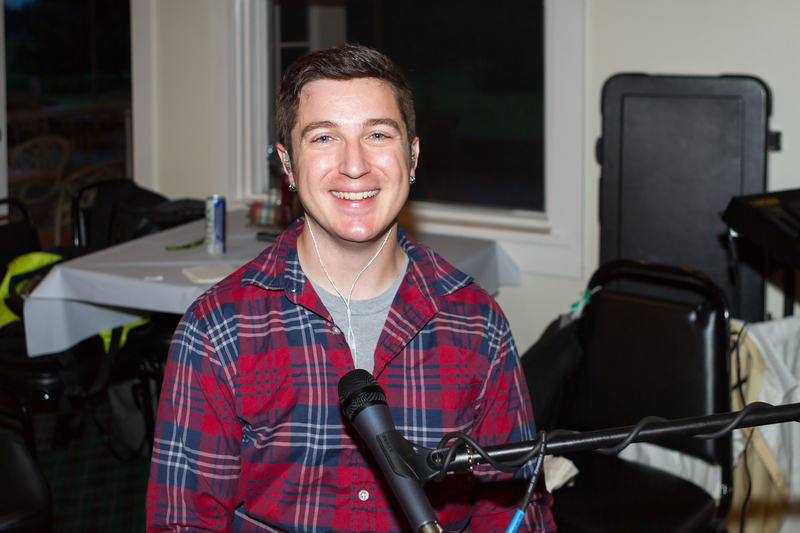 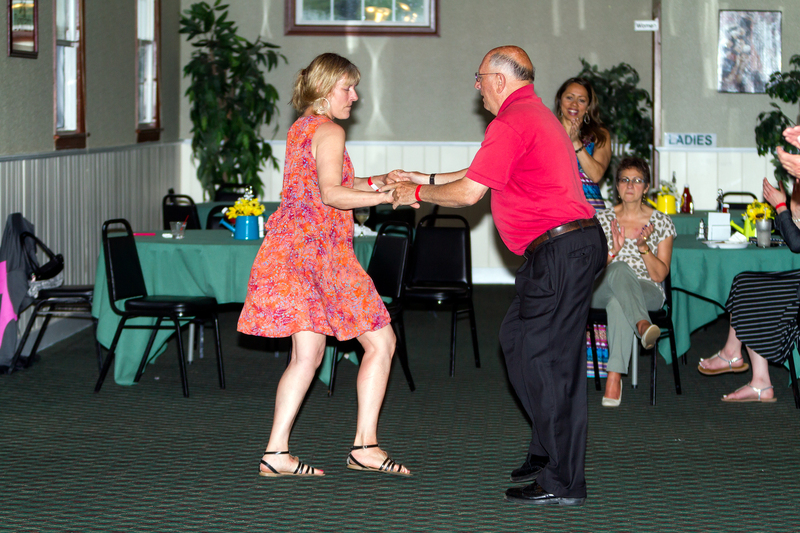 For now I have these images from our last concert of the season.